Thank you to Great Wolf Lodge MN for hosting our stay and providing accommodations free of charge. My thoughts are my own. 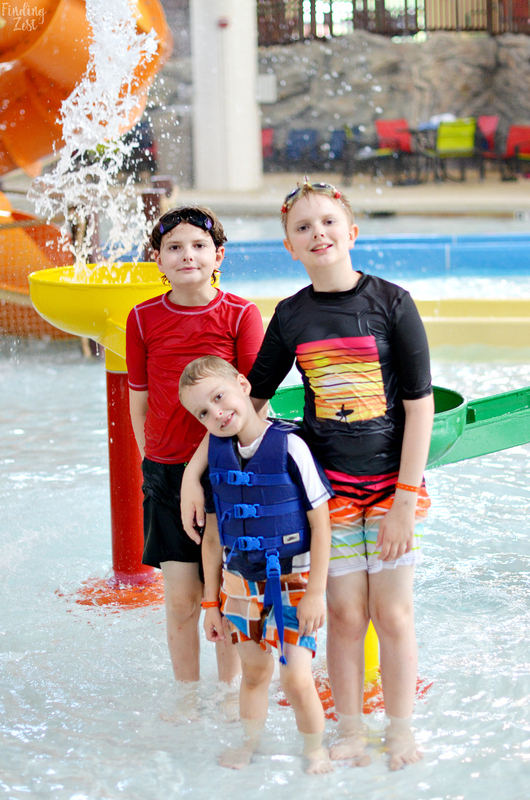 A couple of weeks ago my family and I headed to Great Wolf Lodge in Bloomington, MN for a little getaway. 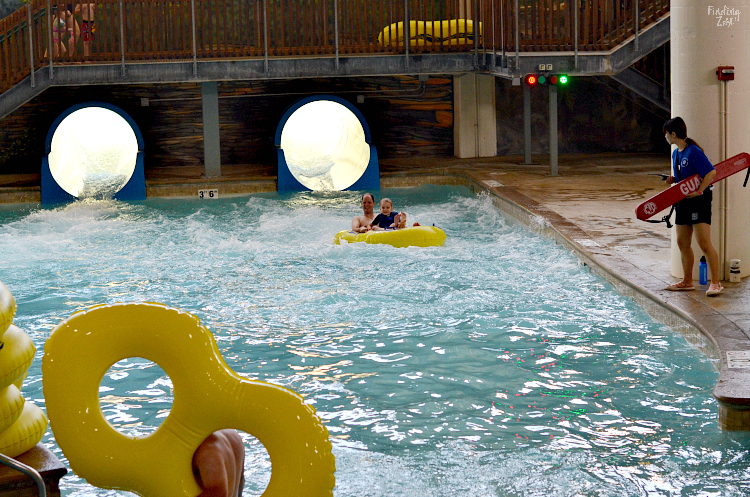 Every summer we try to visit a water park in Wisconsin Dells, WI but that is a good four hour drive. 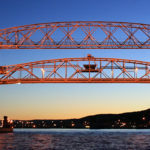 We cut our travel time in almost half by heading down to the Minneapolis area instead. 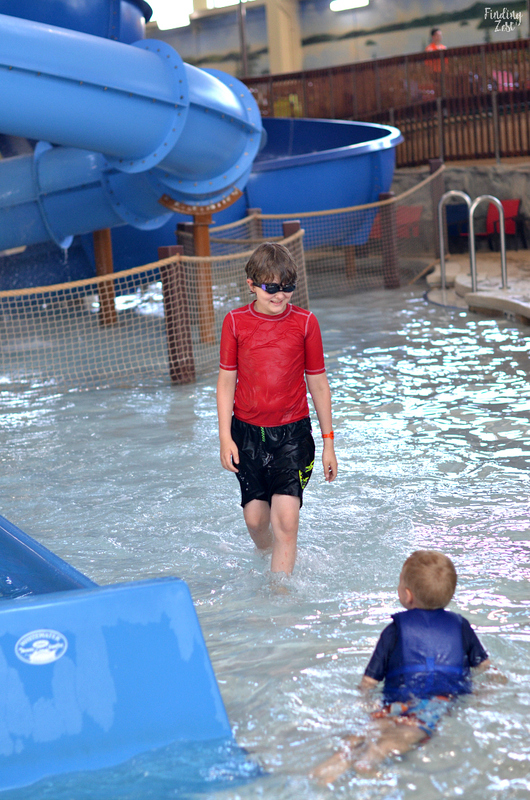 Great Wolf Lodge is a new addition to the area, having renovated another water park and hotel last year. 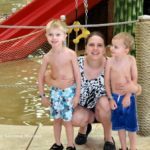 I had never been to a Great Wolf Lodge before but we couldn’t wait to try it out! As soon as we checked into our rooms we headed down to the water park. 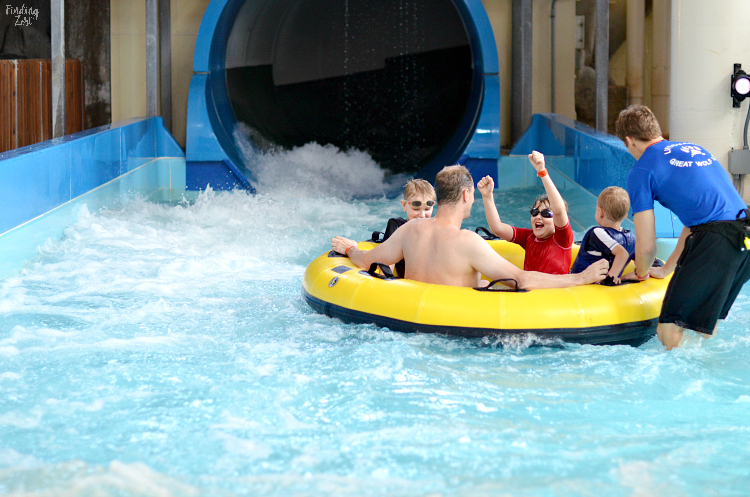 Immediately upon entering you are greeted by the lazy river, wave rider and wave pool area. My husband Joe immediately gravitated to the wave rider, Wolf Water Wipeout. He couldn’t wait to get a few runs in. And thankfully since we got down there right at checkout the line wasn’t too long. Over the three days we spent at Great Wolf, Joe rode this at least a half dozen times and was excited each time. It takes a bit of practice but each time he got better and did more tricks. On the way home he was joking about putting one in the backyard. The Crooked Creek was really a favorite in this park. It was a great way for us all to spend time in the park together and just relax either on single or double tubes. The Crooked Creek lazy river wraps around the entire park and connects with the wave pool. My kids thought it was pretty awesome that it included a cave section with waterfall. 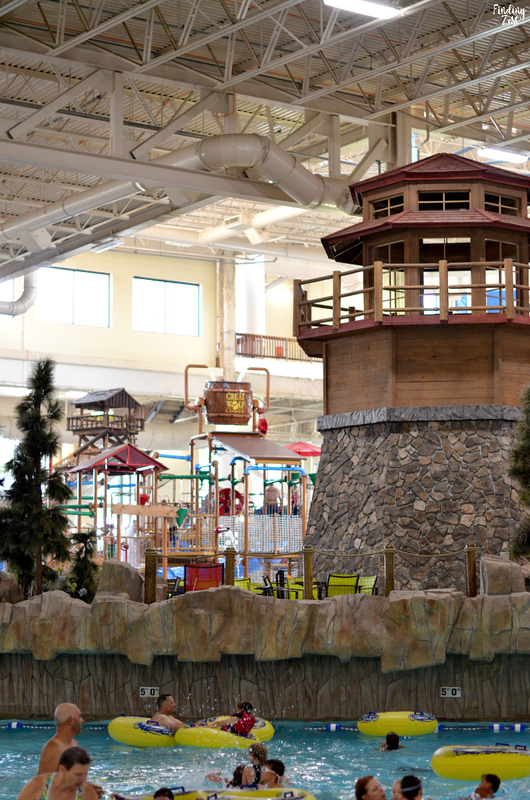 The Fort Mackenzie play area is really great for kids of all ages. 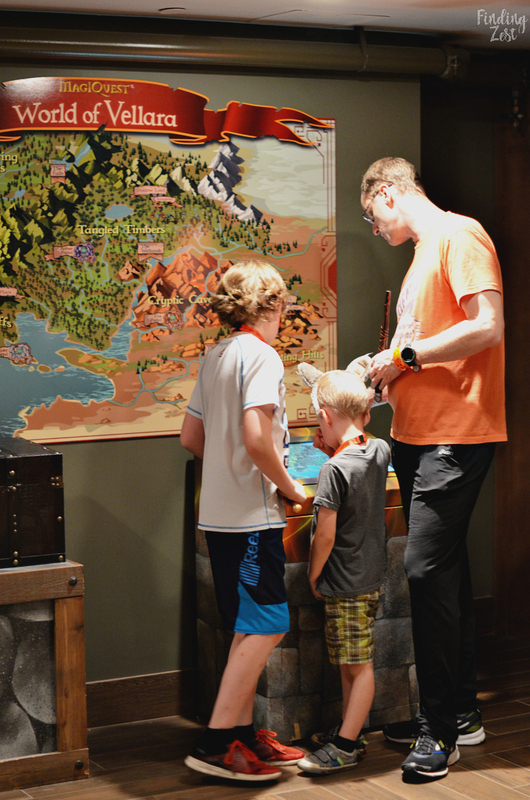 While it might be geared towards younger guests, all three of my boys really enjoyed spending time there. 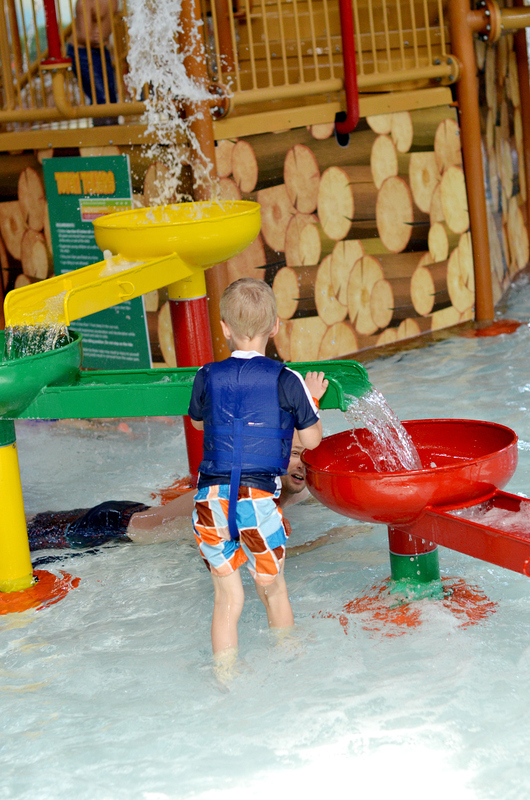 Wesley loved playing with this movable funnel set and spent a lot of time redirecting water. 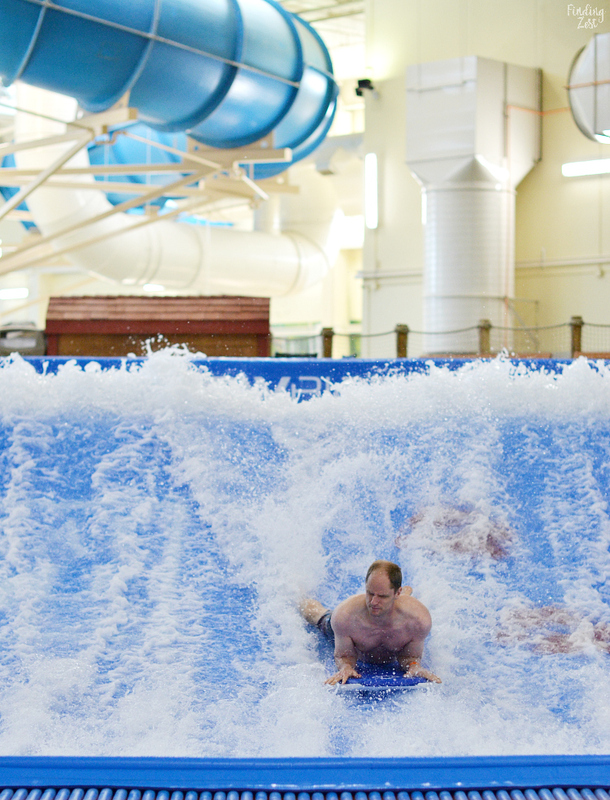 There are also multiple slides in this area that while shorter than the otter tail slides, are perfect for younger kids and still fun for the older ones. 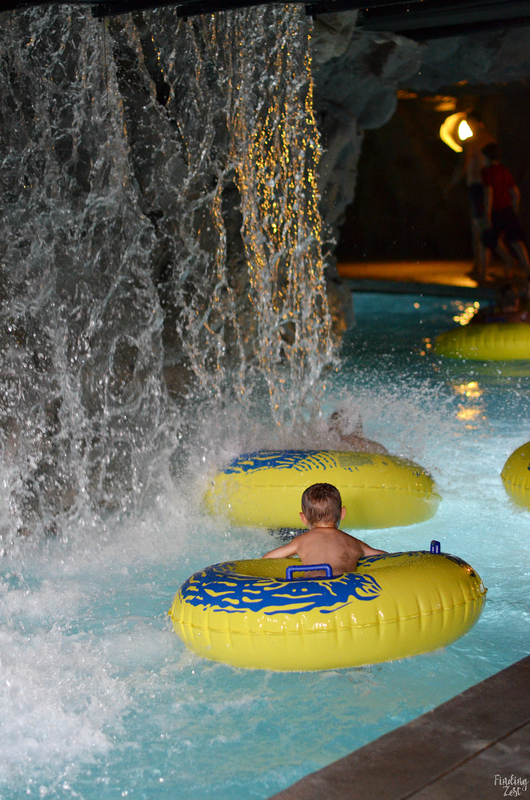 One of our favorite features of this area is the water temperature. While no water in the park was very cold, the pool was definitely cooler than Fort Mackenzie which was as warm as bath water. It was so nice that even if you did get splashed with water the feeling was pleasant. 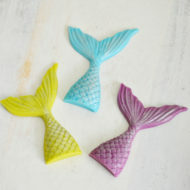 For the youngest guest or kids who are more leery of the water, this is a great way to introduce them to the park! Fort Mackenzie is also good area to let your kids roam and still keep an eye on them while relaxing on a lounge chair. Of course we couldn’t wait to hit the water slides. 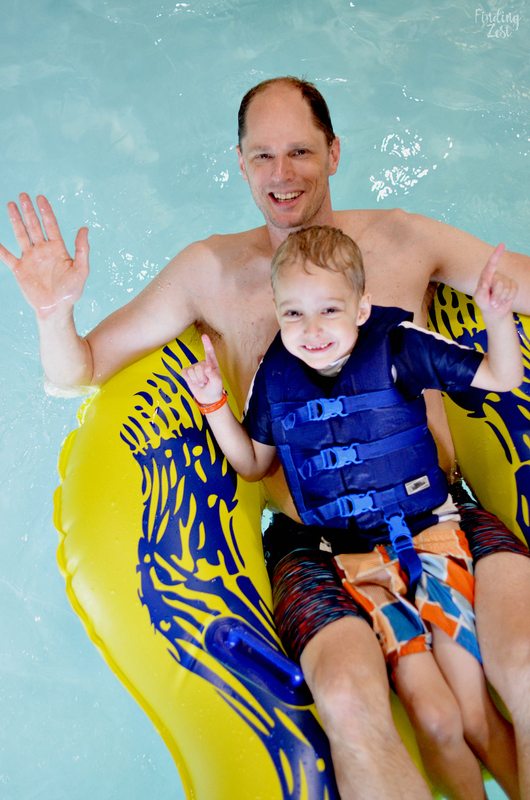 This Great Wolf Lodge offered several options including those with and without tubes. A favorite was River Canyon Run because all 5 of us could ride together on a giant tube. It features Splash Cinema which displays lights and music using the theme you choose during weigh in. This ride does require you step on a scale but don’t worry, no actual numbers appear. You simply get a green light as long as you aren’t too light or too heavy. Keep in mind that in this attraction some members of your party will be riding backwards. 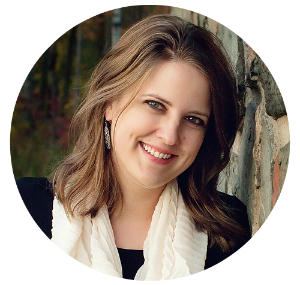 It made my husband and I feel a bit nauseous when we rode backwards but our kids were fine. Be sure to let the lifeguard know if anyone is sensitive to this and they can direct the tube to accommodate. We also really loved Alberta Falls which is another tube water slide that can accommodate either a single or double rider. I loved going down with one of my kids for some one on one time. My two older boys often went down together as well. This is a pretty tame ride but is a lot of fun for all ages. 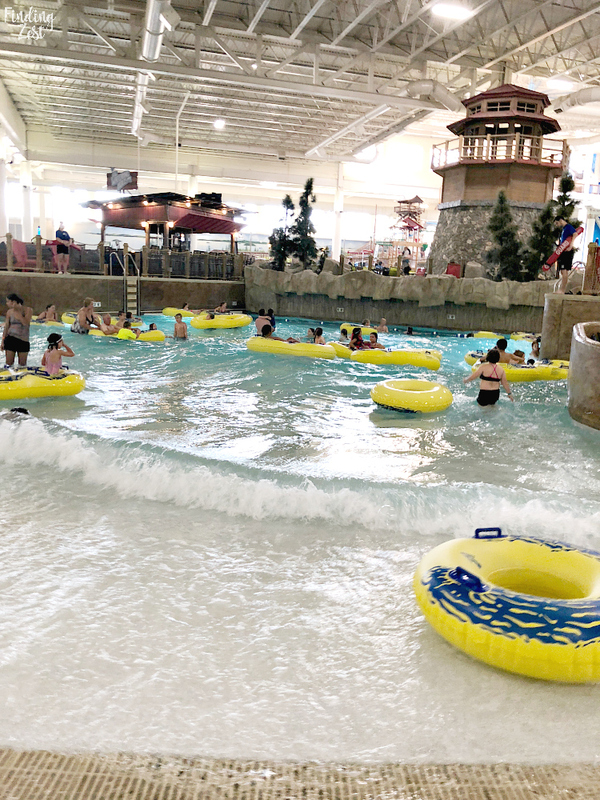 Great Wolf Lodge Bloomginton also has several otter tail runs to choose from which require no tube at all and were located at different levels of the water park. My older boys absolutely loved going down them because the line was so short and the slide was fast! 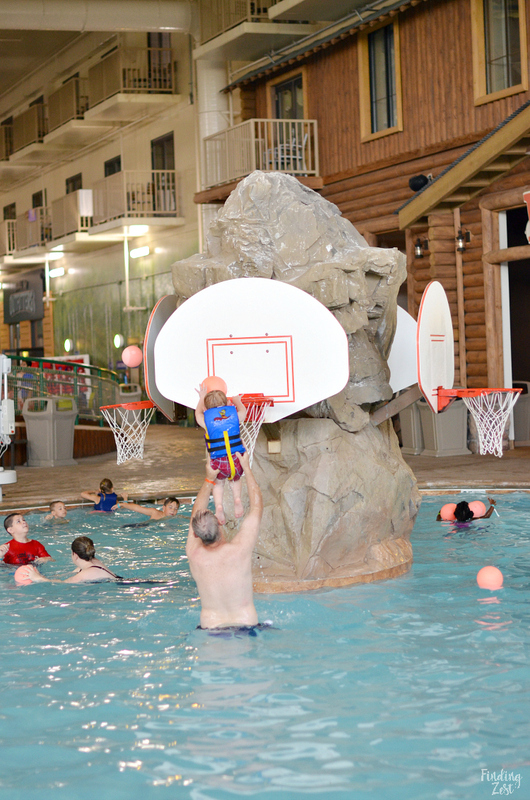 Chinook Cove is the more traditional pool area with basketball hoops. We spent plenty of time in this area too as we shot free throws and practiced our balance going over the floating lily pads. 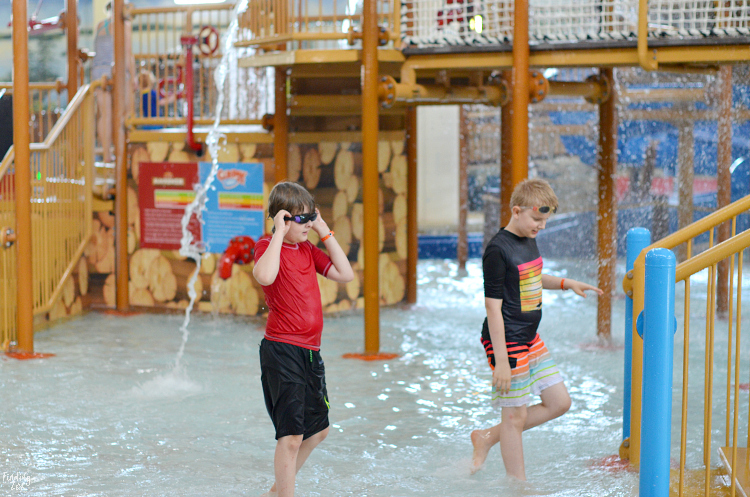 This summer Great Wolf Lodge Bloogmington hosted Howl N’ Splash Summer Bash, a six-week celebration series of family-friendly festivities, daily activities and interactive celebrity visits—including Bailee Madison (Hallmark Channel’s Good Witch), Laurie Hernandez (Olympic gold medal gymnast), Madisyn Shipman (Nickelodeon’s Game Changer). 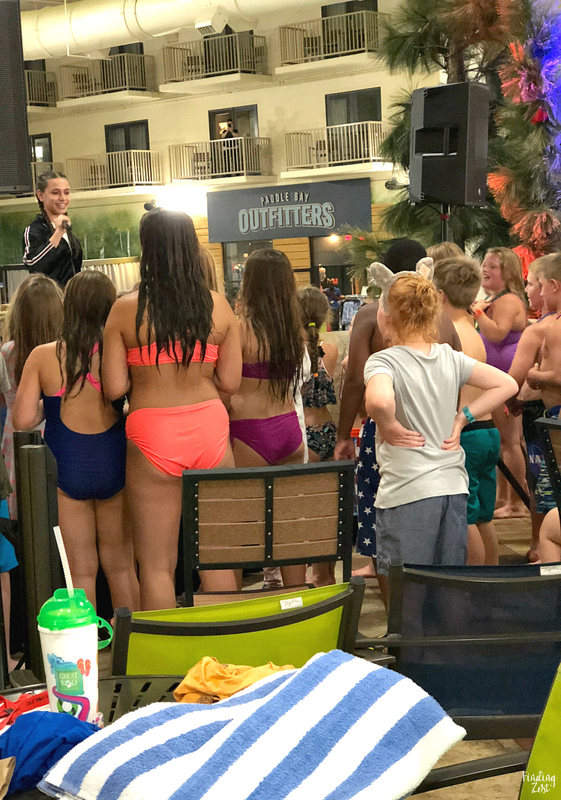 During our visit we had a performance in the water park from Sky Katz, an actor and performer from the Disney show Raven’s Home and previous America’s Got Talent contestant. There was also a dj that got the crowd having a lot of fun before and after her appearance. Be sure to check the event calendar during your stay to see what special activities are planned! 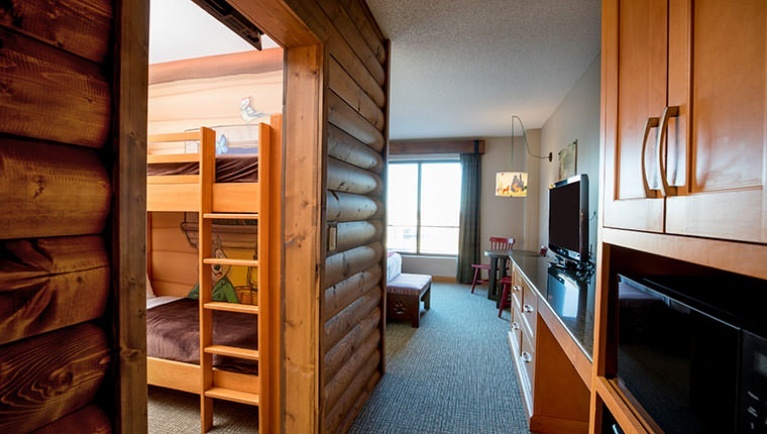 There are many different style of rooms to choose from at Great Wolf Lodge, MN including standard and themed suites. 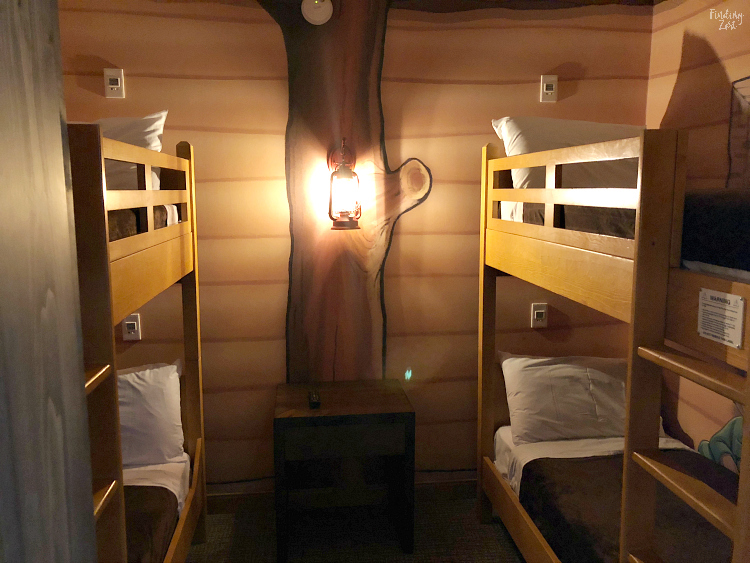 We stayed in the Queen Suite which is fun themed room that sleeps up to six and includes a log cabin-themed sleeping area with two sets of bunk beds and a separate queen sized bed. 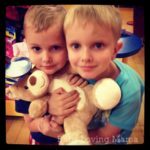 Our kids absolutely loved having their own area! They liked not having to share a bed and enjoyed having their own t.v. During our stay we never had to leave the water park for anything, including food. 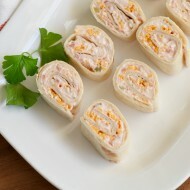 There are several restaurants to choose from. 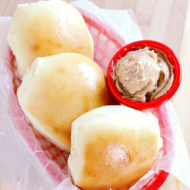 Campfire Kitchen offers an all-you-can-eat breakfast and dinner buffet. 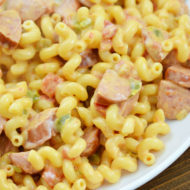 I was impressed at both buffets for their wide variety of food choices, especially kid friendly ones like mac ‘n cheese, fries, corn dogs and chicken nuggets. The dinner buffet had more adult offerings as well including broiled fish, stir fry, stuffed shells, tacos, salads and so much more. 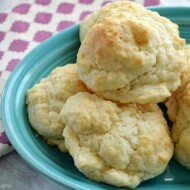 While we enjoyed the dinner buffet, the breakfast buffet really blew us away. I can’t imagine anyone being disappointed and we felt it was worth every penny. Not only was the selection vast, the quality of the food was top notch. 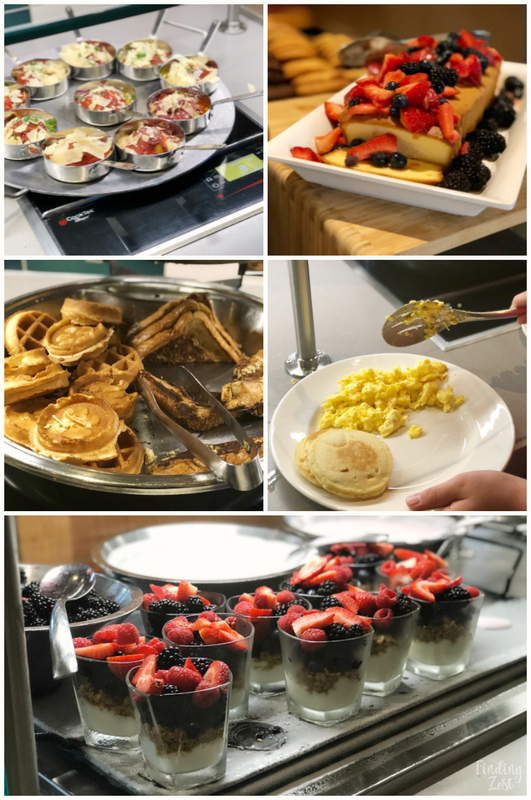 It included french toast, pancakes, waffles, bacon, sausage, turkey sausage, scrambled eggs, eggs benedict, yogurt bar, and so much more! We loved the extra touches like fresh berries and whipped cream to top our waffles. If you only buy one meal at Great Wolf Lodge, it is the breakfast buffet! If you want a quicker or more budget friendly food option, order some pizza from Hungry as a Wolf. The pizza is good, affordable and can be ordered as a whole or by the slice. You can also find smaller restaurants throughout the resort including Dunkin’ Donuts and Ben & Jerry’s. 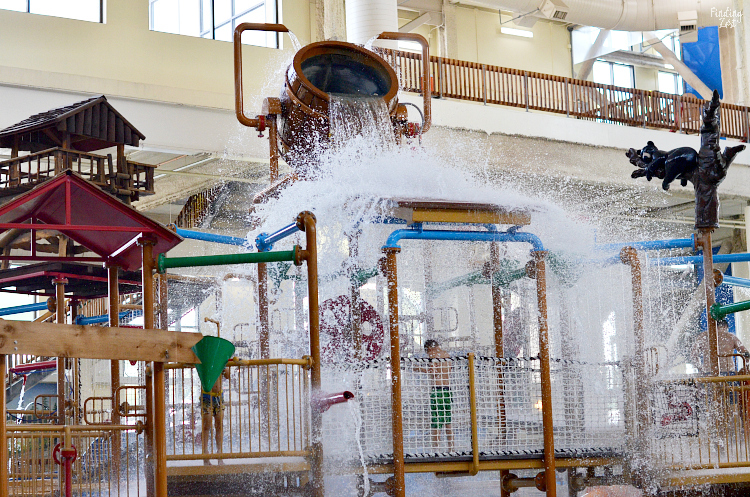 Great Wolf Lodge has a lot of fun activities besides the water park. One easy way to enjoy them and save money is to purchase a Wolf Pass, Paw Pass or Pup Pass. While they can be purchased during your stay, you can save $20 on the Wolf Pass if you buy it ahead of time. Each pass offers different amenities and the value goes up with the price. 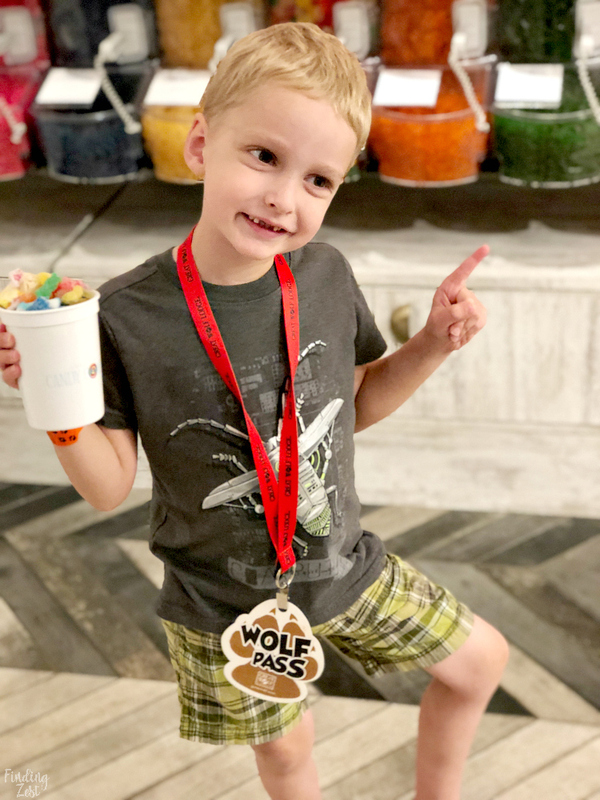 While my kids enjoyed all the activities with the Wolf Pass, they had a few favorites. Oliver’s Mining Co. Experience was definitely a favorite. 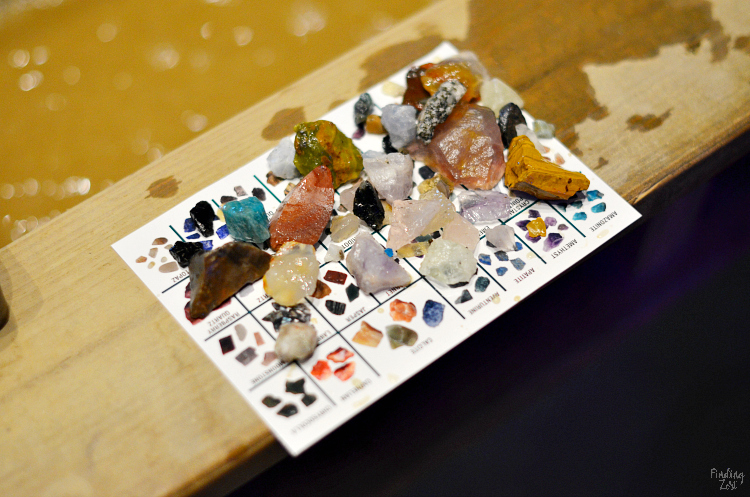 My kids have always loved finding rocks and sea glass locally so I wasn’t surprised they enjoyed an experience which allowed them to pan and sift for gemstones and minerals. 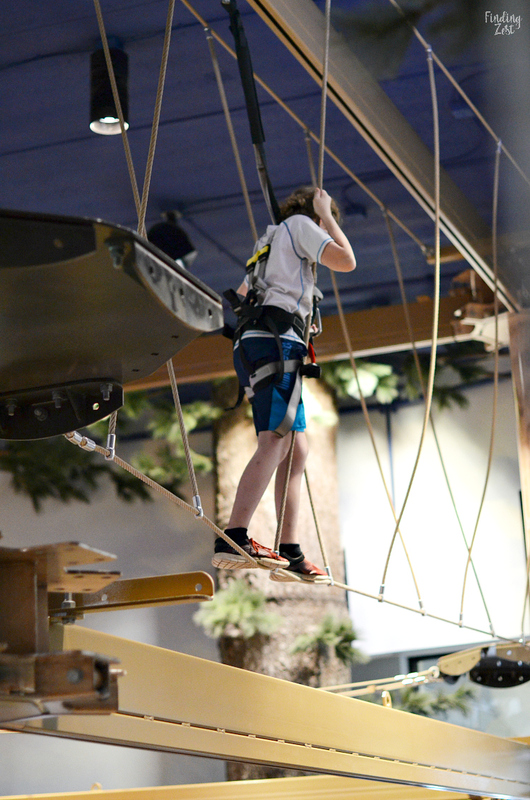 Howlers Peak Ropes Course was also another favorite. My 10 year old loved navigating the course. 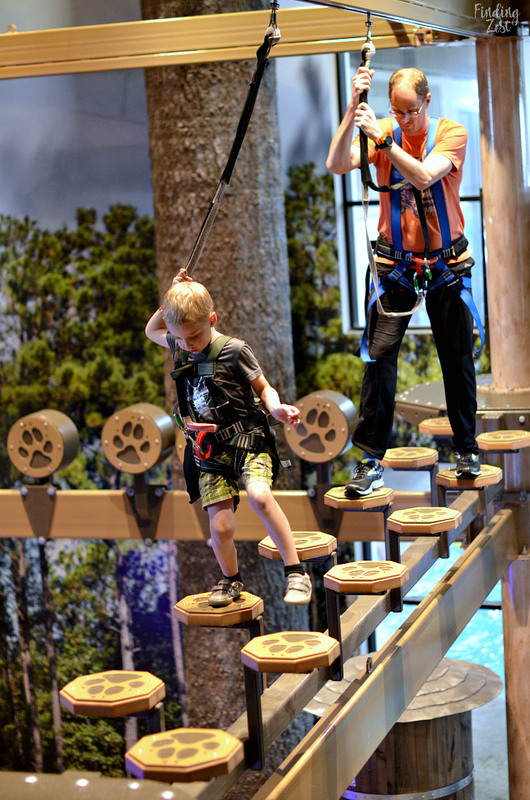 My 6 year old was a bit too short to go on the rope course alone but my husband was able to go with him for no extra charge. 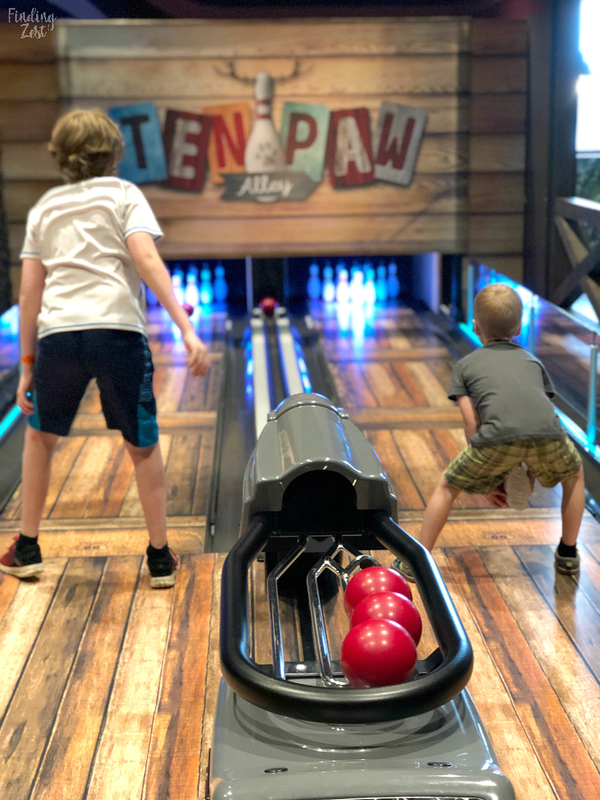 As a family, we loved Ten Paw Alley the most. We purchased a single game for my husband and myself so we could enjoy bowling together. It was a unique take on traditional bowling but was a lot of fun. My husband beat me by one point! 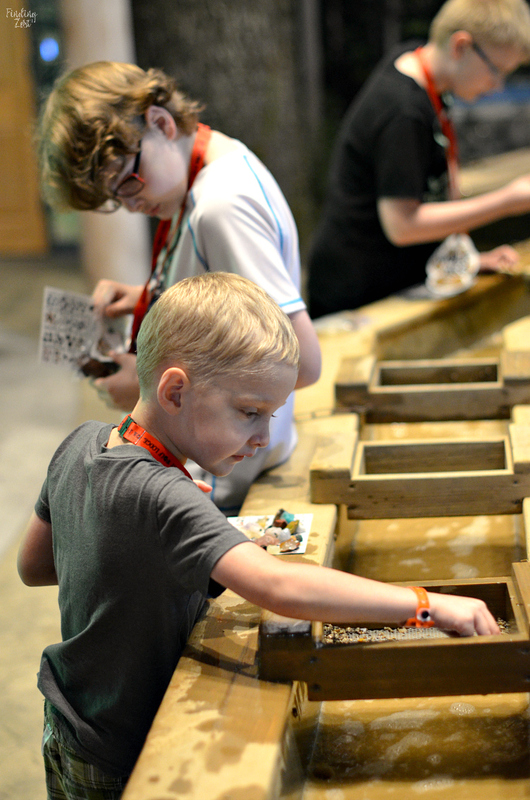 MagiQuest was by far the most involved and longest activity available through the Wolf Pass. We spent almost two hours on this game getting set up, learning how to play and starting a quest. We didn’t get that far so this is a great option for a activity outside the water park, for a longer stay or someone who has played this game before. 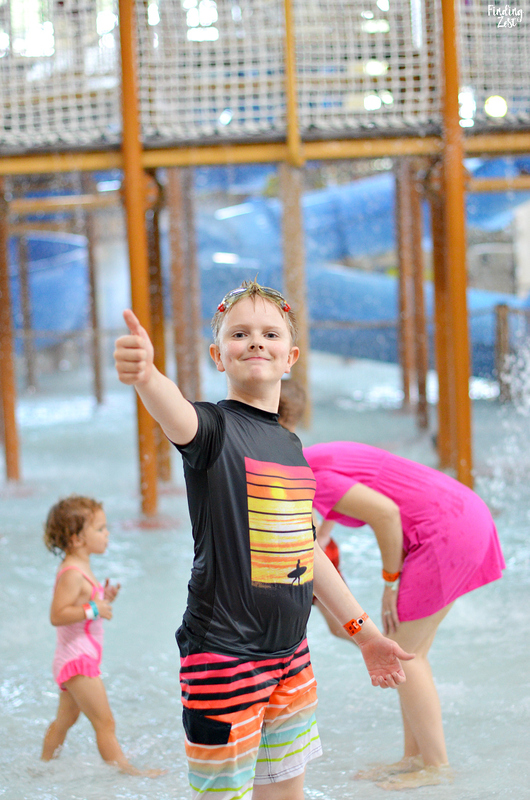 Overall we loved our three day, two night adventure at Great Wolf Lodge Minnesota. We arrived on Sunday and left on a Tuesday and I highly recommend these days during the summer. 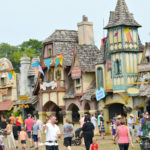 The park was a bit busier on Sunday but Monday and Tuesday we experienced short lines and smaller crowds allowing us to enjoy the park even more! 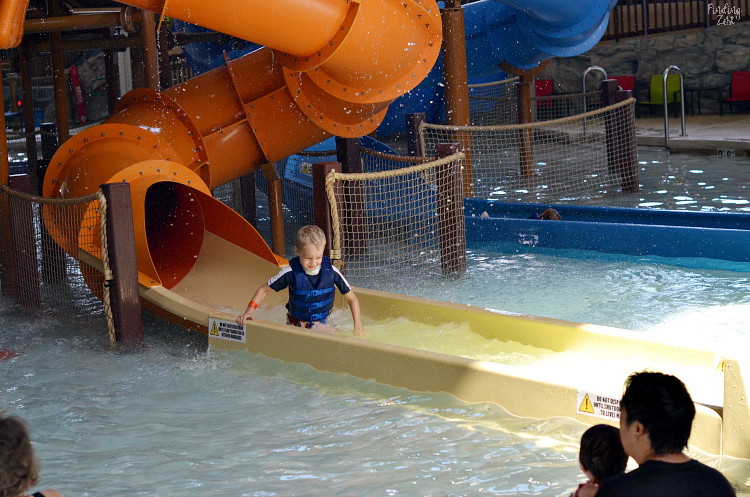 I love that Great Wolf only allows hotel guests to use their water park which helps cut down on the crowd size. I do recommend staying more than one night at a time to fully experience all the resort has to offer. We really liked that we could stay at the lodge without having to venture out unless we wanted. 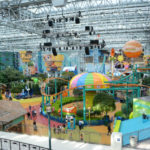 The location is right near the Mall of America so there is no shortage of local activities. 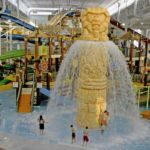 I see more trips to Great Wolf Lodge MN in our future! 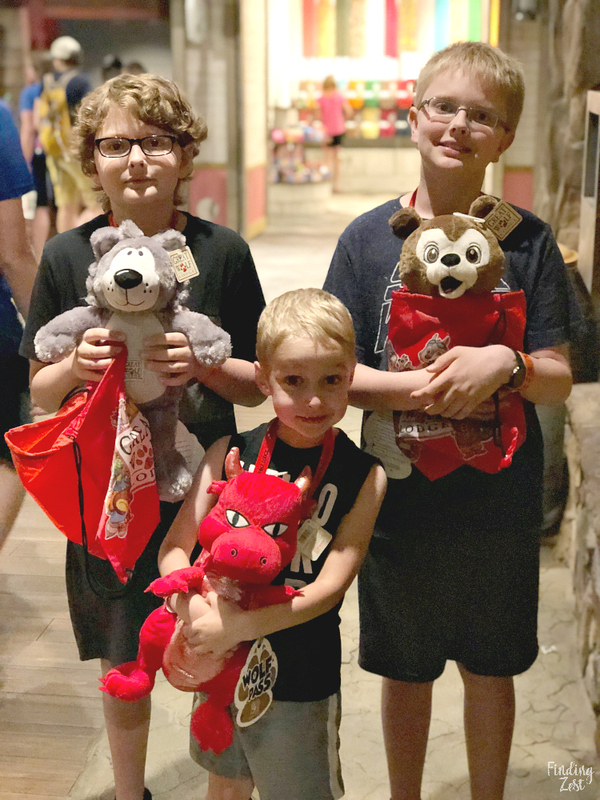 Be sure to visit the Great Wolf Lodge website to find out more information and to book your stay at this awesome resort! « Cherry Smoothie Recipe that Tastes like Cherry Pie!